While walking through B&N looking at magazines I noticed a cover that had a plate of spaghetti. 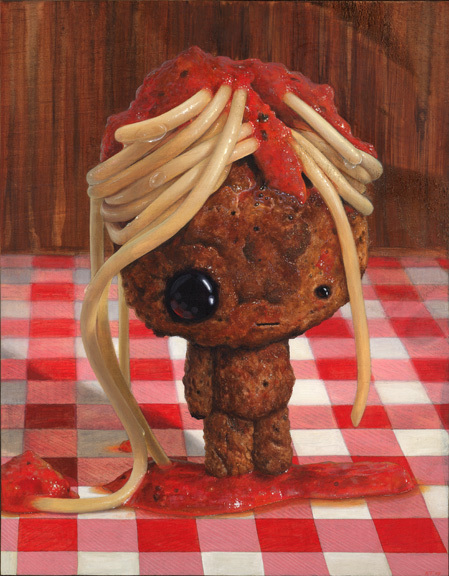 'Well, now why haven't I done a little meatball boy with a swirl of spaghetti on his head?' I know now. 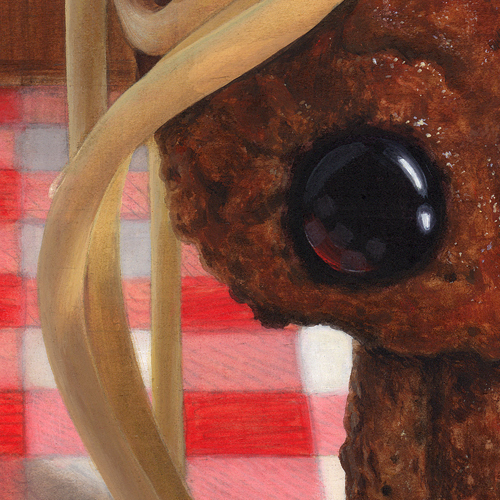 Spaghetti and meatballs are hard. 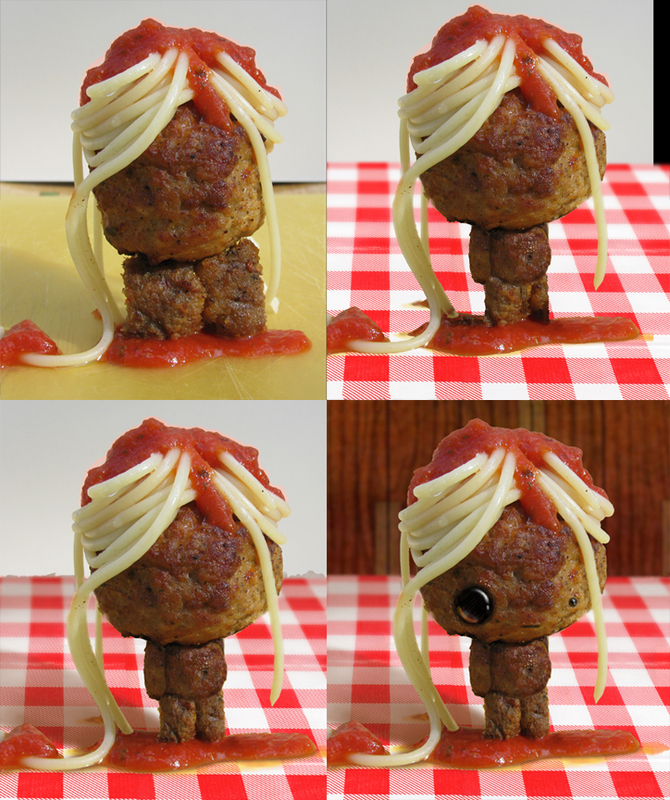 I wanted to get specific photo reference for this one so I made up a little batch of meatballs and spaghetti to play around with. A few toothpicks, some strategically placed sauce and about 30 photos later I came up with the first photo. Then on to Photoshop to get the details finalized along with an appropriate background and shadows. With that done, I printed out a version that was sized to my plaque, traced it and then began to paint. 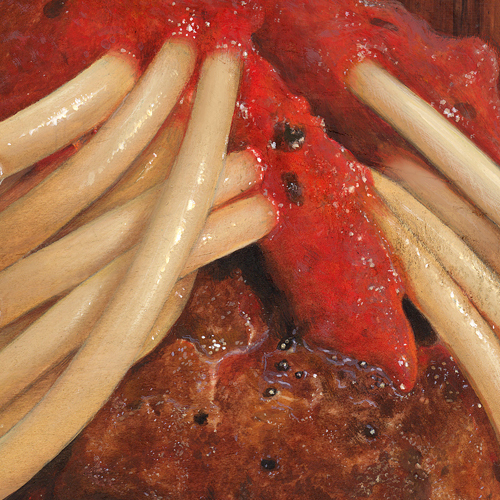 The finished piece, with some closeups below. The fat reflections on the top of his head are my favorite.